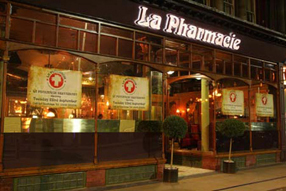 La Pharmacie, formerly The Purple Onion, has opened its doors to welcome discerning customers seeking a delicious bite to eat in stylish surroundings with an atmosphere to match. and just one look at the menu will have your tastebuds tingling. Choose from the likes of home made lamb, chilli and sage burger served on toasted ciabatta with melted goats cheese and tomato relish. All tastes are catered for - and all ingredients are freshly sourced from local suppliers for their taste and flavour. Barry junior says he and his dad were long time fans of The Purple Onion and when the opportunity came up, they decided to give it a bit of a revamp. 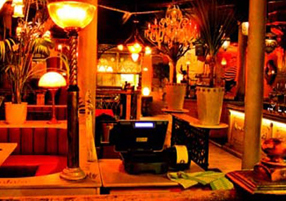 The place had an atmosphere all of its own and they were keen to recreate that in the new restaurant.